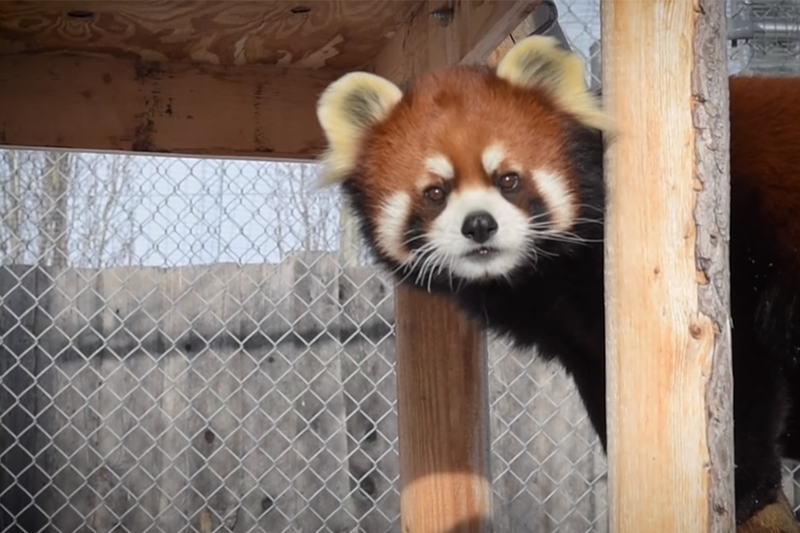 Phoenix the red panda recently underwent a medical exam at the WCVM (screenshot from the City of Saskatoon). The Western College of Veterinary Medicine (WCVM) played host to a very fuzzy patient recently—Phoenix the red panda. Phoenix, who has been a crowd favourite at the Forestry Farm Park and Zoo since 2014, was at the Veterinary Medical Clinic to undergo a complete physical examination, performed by WCVM veterinarians. The team ran blood tests, performed an ultrasound, took x-rays and more. The procedures are in shown in great detail in a new video created by the zoo. Showcasing the educational aspects of the animal health program benefits many—from teaching skills to veterinary students for their future careers, to showing school students how in-depth an annual physical examination for a wild animal is. Red pandas, known for their resemblance to raccoons, have been classified as vulnerable due to habitat loss and poaching. Slightly larger than a domestic cat, red pandas are recognizable with their reddish-brown fur and shaggy tail. See more at the City of Saskatoon.